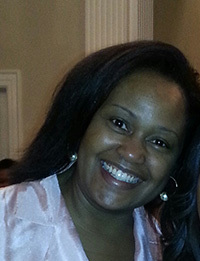 Dr. Tracy L. Durant graduated from Howard University College of Dentistry in May 1996. She has provided the highest quality dental care since 2003. Via a mobile dental van, she provided exceptional care to elementary and middle schools in her area, and then later branched out to service the Head Start kids for 5 years. Dr. Durant has been in her current private practice for 14 years. This state of the art practice consists of cosmetic crown and bridgework, as well as digital x-rays, whitening and implants. She is a member of the American Dental Association, South Carolina Dental Association and the Academy of General Dentistry. Dr. Durant is a certified Invisalign® provider. She provides free dental screenings. Her hobbies include scrapbooking and traveling. When she is away from the office, Dr. Durant enjoys spending time with her daughter.